The MRV has gone through 5 face lifts during the time I’ve owned them. Yet I somehow always end up with the shape from 2005! By the looks of it, it is by no means a petite vehicle and competes with the likes of a Ford Explorer or a Nissan Pathfinder in the Middle East. But this petite girl loves driving this beastly family car ! Maneuvering your way through Doha, you need to make your presence felt on the road, and this car delivers! The one I currently drive, is a pretty basic 2008 model with no bells and whistles. In fact all of the ones I ever had, have been very basic with standard options. No upgrades at all! My ride was previously owned, with minor scratches and dents, but functions perfectly well and gets me from A to B (which is the point anyway). It has weathered a lot during the last few years. It has gotten me through some tough times, and steered me in the right direction – pun intended! I also quite like (and need) the third row seating option in my car too! It’s a basic and reliable 4-wheel drive with a 3.5L V6 engine, but has not been pushed to its limit in the Qatar sand dunes. We did try that once, and let’s just say, that was the end of our experiences in dune-bashing! It has good ground clearance and the suspension feels rock solid on the dug-up roads of Doha. Not a rock climbing machine like a Jeep, but good enough to handle the large potholes in our ‘under construction‘ city of Doha! The acceleration is excellent for a 4WD and matters most when trying to cross dreaded roundabouts in the city when you only have a fraction of a second to merge with the other high-speed drivers! Going down this sand dune in Doha. I wanted to get out of the car half way! Never doing it again! Never! My dashboard is a plain dull grey. The interior is not aesthetically pleasing at all. There is however, a covered compartment in the console that provides plenty of storage for me! If you’ve ever caught my Instastory, you will know it has everything from lanyards, pens, binder clips, throat lozenges and even my kids left over foam from their science projects. It can all be stored in that console away from plain sight! My dull grey interior I spend all day looking at! Since the kids and I spend our days in the car rushing from one activity to another, smack in the middle of lunch time, we often grab food on the way! By the end of the week, we have dried, blackened banana peels, biscuit wrappers, and very old cups of smoothies all neatly shoved in the door pockets. The Honda MRV has ample space for all our leftovers! Because the seats are clad in leather, we have managed to scrub off the pasta stains! But unfortunately, we’ve got some serious wear and tear now. Quite literally! I like to think that my car is pretty good with its maneuverability! I can get into pretty tight parking spots, without much trouble. I think it’s the familiarity that helps. I don’t think I would even want any parking assist features in a new car. When I drive my husband’s car, I get totally thrown off, because the mirrors start moving the minute I put it into reverse, and I’m caught off guard. And of course everything starts beeping, slowly at first and then furiously faster. Relax Becky! I know how to park the damn car! Over the last 11 years of having a Honda Pilot, there’s a sense of security, a sense of familiarity, ….a sense of sitting on a comfortable couch. But my life has moved into the 21st century with technology – iPhones, ipads, smart TVs, fitbits, and other electronic gadgets. But I look at my comfortable MRV and I feel that it’s still in the last century! I think it’s finally time I had a car that was more in tune to the 21st century. There’s no GPS, keyless start, hands free tailgate open/close, virtual cockpit, entertainment system, or surround sound. I don’t even have Bluetooth! On the contrary when I get the privilege of a ride in the Audi Q7, I am a child that has seen the inside of a plane’s cockpit. Totally captivated (yet panicked!). You sit inside and the dashboard illuminates. The infotainment system offers you endless options, and the navigation is on point! The hand stitched leather, wood accents, and a distinctive metal trim – all seem blindingly luxurious!! I am not certain what would steer my choice or decision towards a certain make of car – performance, design, safety, or perhaps reliability. But I think I am ready for a change! Is it car-envy that is making me think of a change in my vehicle. Or is it that I’ve reached a point in my life (after 11 years of driving the same/similar car) that I now want something different? It’s a point I’ve been pondering, but not something that I will lose sleep over – just yet! Do you have a strong affinity towards your car brand? Or are you good with anything that drives? This entry was posted in Reflections and tagged auto, car love, cars, Doha, driving, honda, MRV, Pilot, Qatar, vehicle by An Introverted blogger. Bookmark the permalink. Loved reading this one! Ok, it’ll prolly come as no surprise to you but I love cars. Especially if I’m not allowed to drive it. Ahhh, you know all about it so I shouldn’t need to type it out again. You’ve always egged me on to drive ‘The Beast’ whenever Ahmed has been out of town. Haha! I have the Honda Pilot here in the US. Love it!! 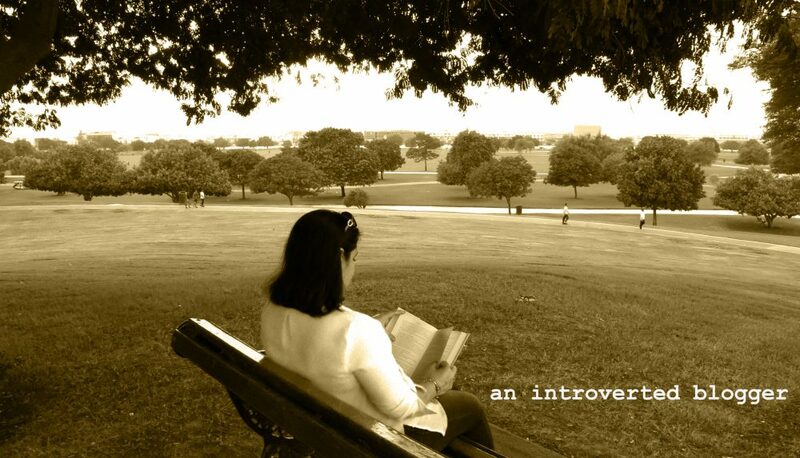 Blogging is a great platform for an introvert. It is a way to be social while also not being social. Ha! Now the Honda is such a car! For someone who loves travelling like me and my family, this car would do it. I mean,I just love a car that performs! Going dune, dune, dune like that certainly looks as if it would generate some high-pitched sounds similar to those heard at funfairs! It’s actually my first time to read a car review. I don’t drive so I find this interesting. I’ve learned a lot! Haha! Oh wow what a great car! We got a new car last year and it made such a HUGE difference to our family. As a family of 6 we need the space! I don’t drive but loved your honest car reviews here! Any mom needs a vehicle that is spacious, reliable, and safe. This sounds exactly like what I’d buy, used of course, to haul my dogs around in. Lol It’d be a practical choice with 3rd row seats, leather interior and no need for the bells and whistles thst in the end just leaves me studying a novel of a manual just to figure out how to work my car! Had enough of that mess with my phone and had to call my 8yr old grandchild for instructions! Lol. Your car looks very nice. I have a Honda Civic and I love it. Think I am a Honda girl now. this post is just on the right time, because we are with my hubby in search of a new car! To be honest, we did not have the chance to take a look in Honda, but I will do it after your review. Thank you! Such a great description of the different choices out there! I especially loved “relax, Becky” because I have that exact moment every time my car preemptively overreacts. Loved this one! I have been driving the same car myself for the past 10 years and it also happens to be a Honda, so I can totally relate to this post. I must say that I am ready for a change too, but I am not sure if I am willing to part with my present companion yet! It has served me well through thick and thin, and a part from a few minor mechanical issues, has been quite reliable in terms of engine performance. My brother and I have always been huge Honda fans. It was his childhood craze to begin with and then I followed his lead, like all good sisters do. Reading your post brought back so many old memories!